If any of this sounds familiar you've found the Legend of Zelda collectors or fans dream! An easy to learn piece which can be mastered in a short period of time, with the ability to spend years improving your technique, discovering new scales and harmonies. 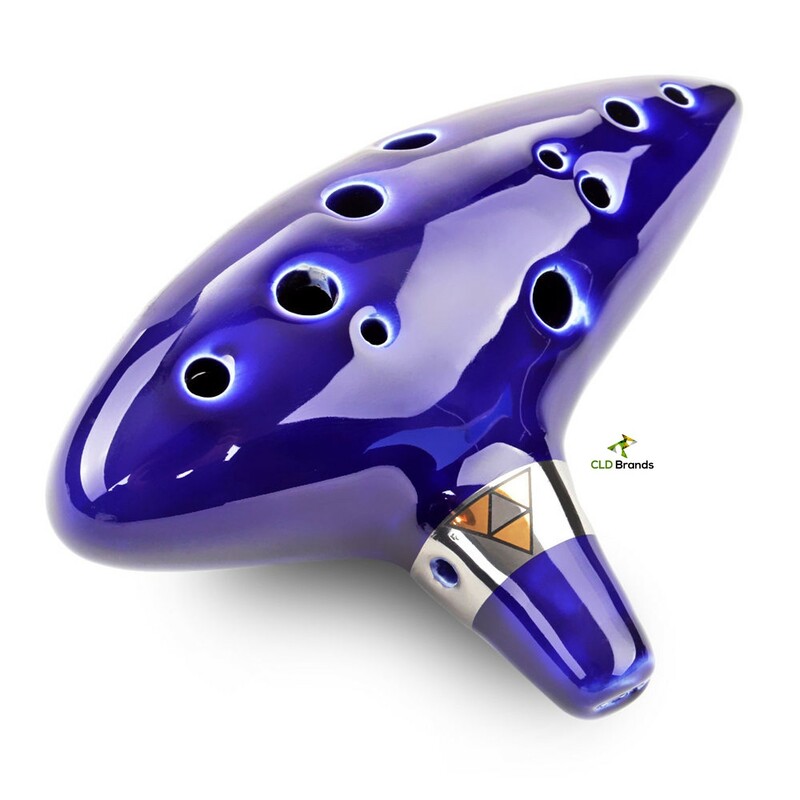 The Ocarina is the perfect instrument to practice techniques and articulations, rhythms, speed development, precision, note transitions and different musical styles. Not a cheap plastic knock off! I love that this is something that is so readily available. Zelda is a game series that I have loved since I was young spending hours in front of the super Nintendo. It comes with a great how to play guide. While you don't have to be musically inclined to use this you do need to have good coordination. (Which I don't) They have a registration for this and you can get the hand stand for a discounted price. This is a great item for both collector and anyone that wants to learn how to play.